1. 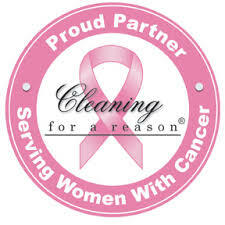 Maids you can trust – When our screened, trained, licensed, bonded and insured maids show up at your home, they’ll be on schedule, in uniform and ready to clean. Our approach to maid and cleaning services gives you a cleaner home faster than ever. All of our Waldorf maids are supervised at all times, and most are hired on the recommendation of maids who’ve been with us for years. And you’ll never have to wonder who’s ringing your doorbell, because our professional maids always arrive at your home in company-marked vehicles. 2. Quality household cleaning – Cleaning your home to Maid Brigade standards demands that our house cleaners use the best cleaning tools and solutions available, like commercial-grade, HEPA-filtered vacuums and always-fresh microfiber mops and cloths that remove dirt and contaminants as small as one micron in size. Now that’s clean, but we can’t really call your residence Maid Brigade clean unless it’s also a Maid Brigade certified green housecleaning. Our Waldorf maid service is proud to be a Green Clean Certified. This Certification means that we place your health, the health of our employees, and of the environment as a priority. The system consists of equipment, processes and solutions that make a big difference in the amount of dirt and harmful particles we can remove from your home. To learn more about our green maid services, just click our Green Clean Certified logo at the top left of the page. 3. 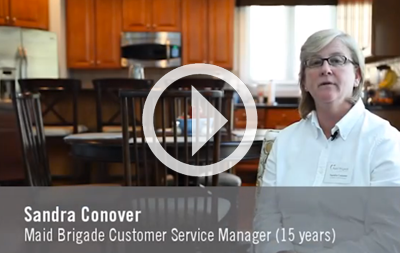 Friendly, local and LIVE customer service – The foundation of great customer service is listening to our residential cleaning customers. Our office starts listening to you by answering our phones live from 8 a.m. to 5:30 p.m., Monday through Friday. And we never stop listening – from customizing housecleaning schedules to providing fail-safe strategies to work around for each customer to requesting your questions and comments on our quality cards, we base everything we do on your needs and feedback. Ready to let us get to work cleaning your home? To schedule professional maid services just fill out the form for an Instant Quote or pick up the phone and call our Maid Brigade Waldorf maid service office today. Areas Serviced: Bel Alton, Bryans Road, Burnt Store, Dentsville, Faulkner, Hughesville, Indian Head, Ironside, La Plata, Marbury, Marshall Hall, Mattawoman, Nanjemoy, Newburg, Patuxent Riverside, Pisgah, Pomfret, Pomonkey, Port Tobacco, Potomac Heights, Rison, St. Charles, and White Plains.